Congratulations! Your NICU has made an important decision to choose an exclusive human milk diet (EHMD) in order to meet the nutritional needs of premature infants. This resource center has been designed to provide you with educational and clinical support in the use of an EHMD. Beer SS, et al. Nutrition guidelines for an exclusive human milk diet. Neonatal Intensive Care. Pediatric Nutrition Reference Guide. 11th ed. 2016;29(3). Hair AB, et al. Beyond necrotizing enterocolitis prevention: improving outcomes with an exclusive human milk-based diet. Breastfeed Med. 2016;11(2):70-74. 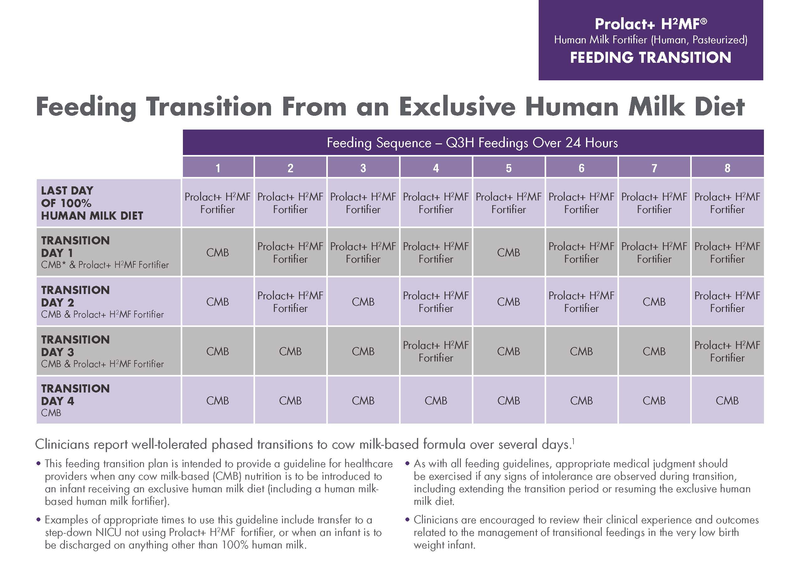 As with all feeding guidelines, appropriate medical judgment should be exercised if any signs of intolerance are observed during the transition, including extending the transition period or resuming the 100% human milk-based diet. What is a human milk fortifier (infographic)? 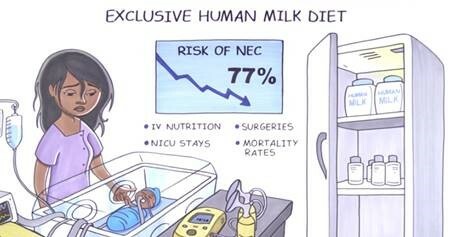 Video: Why Preemies Need Access to an Exclusive Human Milk Diet?
! In this video, current customers share insights on 'How to order and calculate inventory'. Our clinical support team is comprised of neonatologists, neonatal nursing leaders, leading registered dietitians that serve as a resource to fellow clinicians for education and support around the growing use of an exclusive human milk diet for extremely premature infants. Connect with a NICU nurse leader to learn about product and clinical information, by emailing them at NPAC@prolacta.com. Bounce ideas or seek practical information from a NICU dietitian at NAC@prolacta.com.